Over the weekend, a friend asked me about our home improvement project du jour. 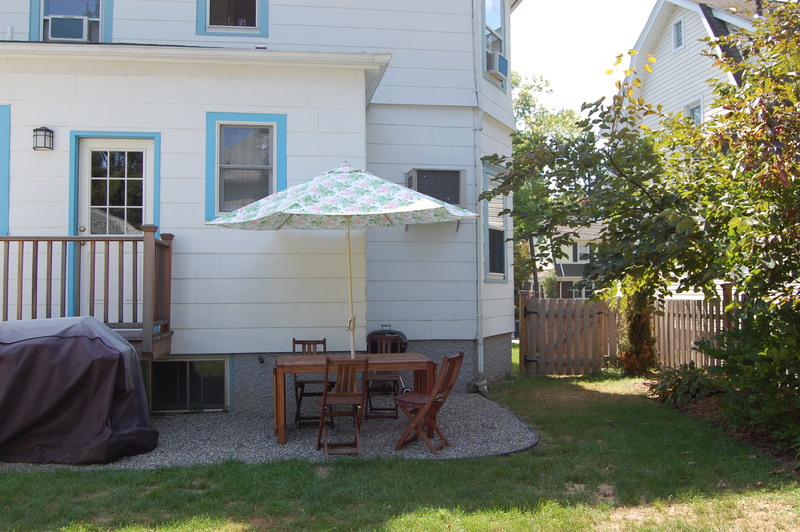 We've done a lot over the summer — a pea gravel patio, a new porch, new living room furniture. I'm in the process of pulling down the wall paper in a bathroom and doing some cosmetic work in there. As the owners of an old home, we've done a lot over the years. Typically, we go through periods of frantic home renovation projects, which are quickly followed by revulsion about the time spent doing something so trivial and by disgust that we'll probably never see a return on our efforts in this lousy housing economy. We're in the disgust and revulsion mode right now. Perhaps a few posts on the summer project will knock me out of this morass. 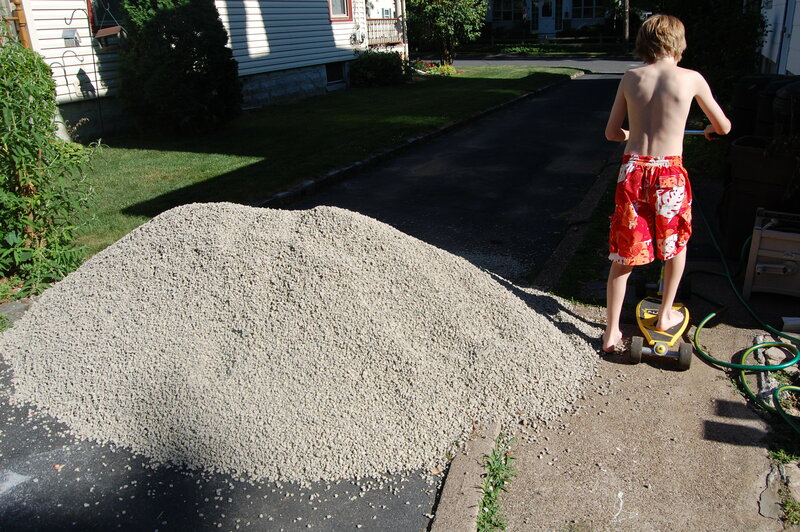 I'll start off with the pea gravel patio. 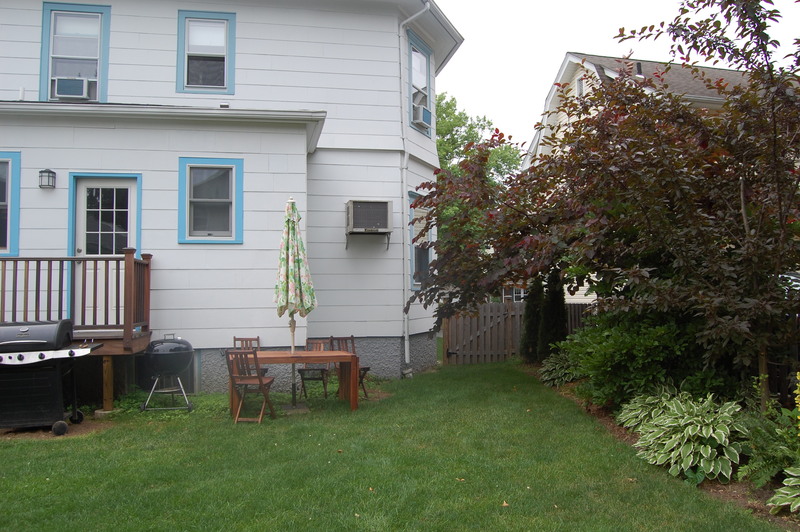 Here's the backyard before we started work. Jonah is begrudgingly sitting for the picture. OK, Jonah, you can go play now. 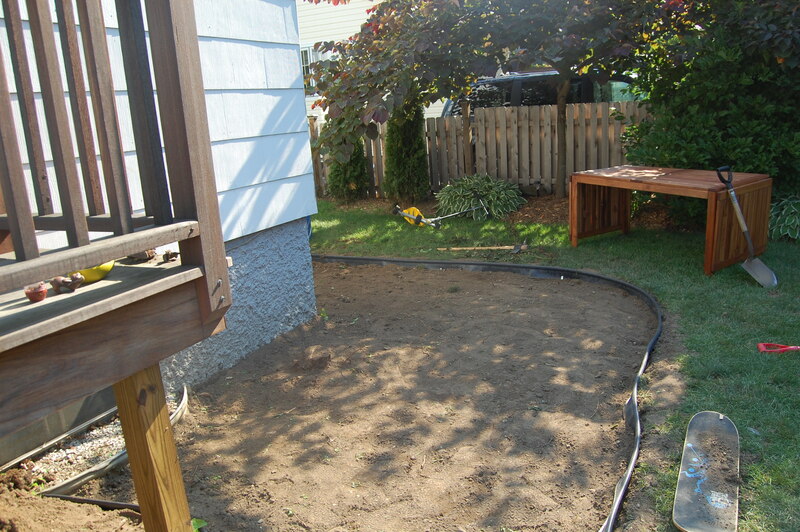 Then we mapped out where we wanted the patio to go. 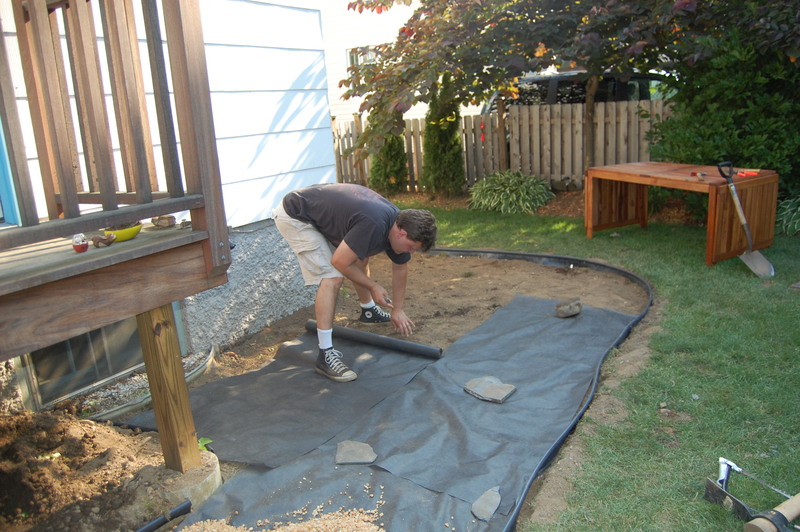 We dug down about eight inches and surround the boarder with some rubber stuff. I think "rubber stuff" is the technical term. 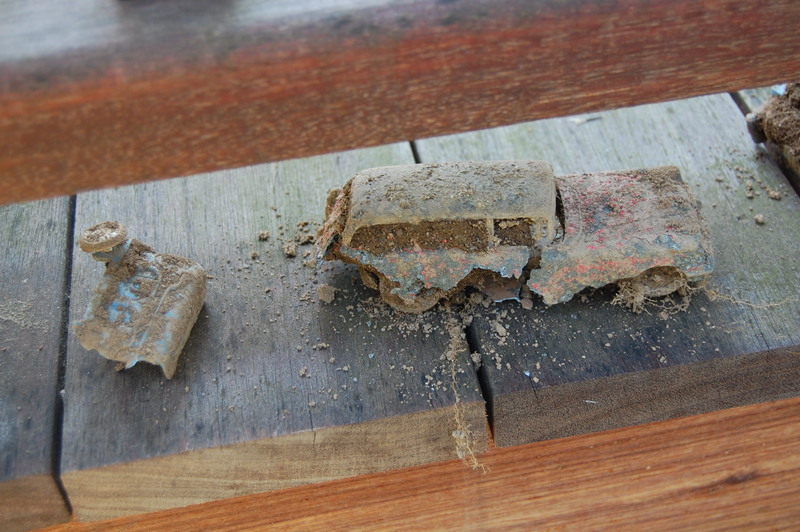 When we were digging, we found an old truck. Some kid must have buried it in the backyard about fifty years ago. Backyard archeology. 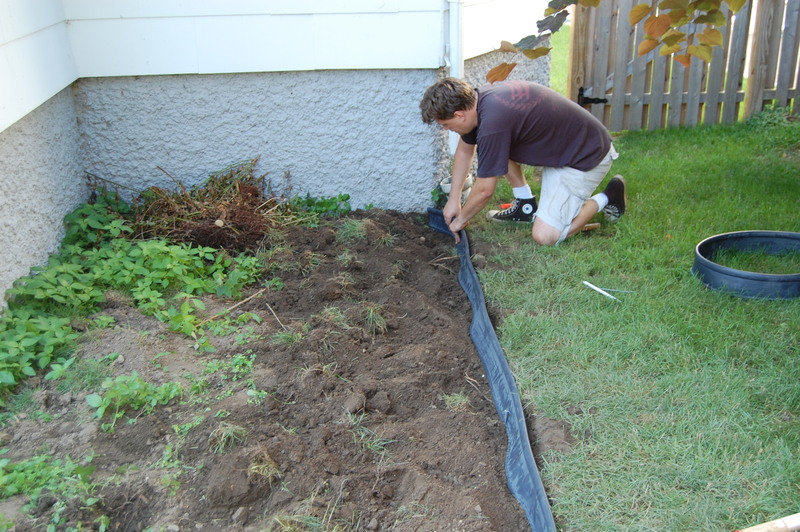 After the border was put in, we dug eight inches of soil out of the entire area. It's actually a lot of dirt. Luckily, the neighbors needed it. Then we put down some anti-weed cloth…. Ta-da! 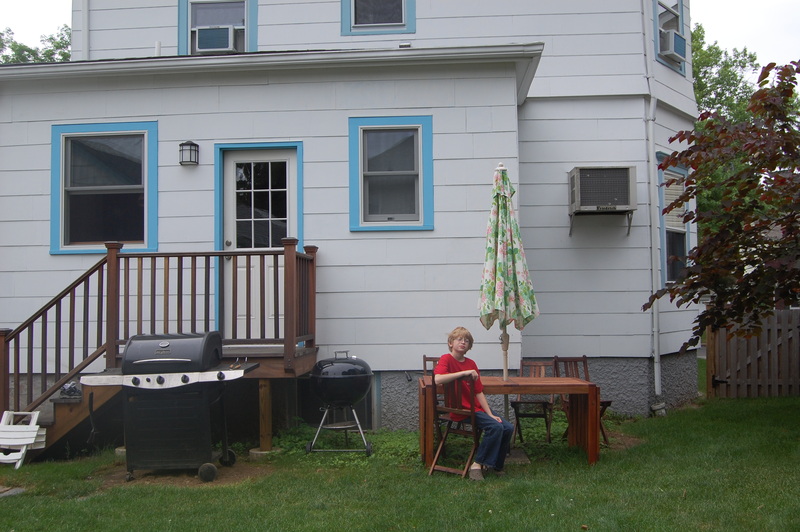 It's crunchy, but it was affordable and fit nicely into a tiny backyard.